Amer Yachts is among the winners of the International Design Awards (IDA) 2018 with her eco-project motor yacht Amer 94′ Twin Superleggera. 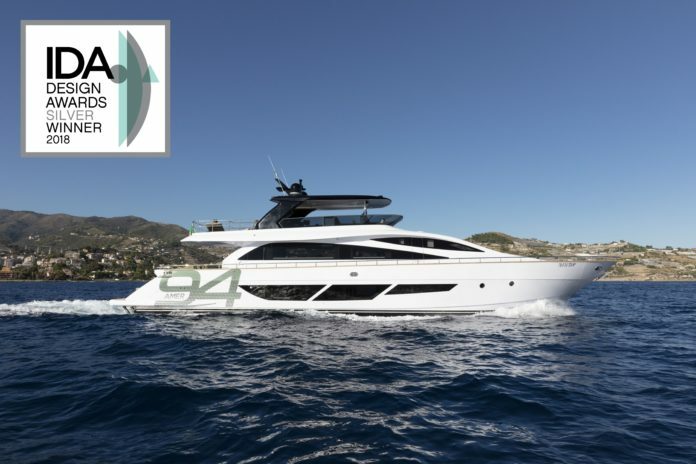 The communication has arrived from the jury that has selected the motor yacht Amer 94 Twin among the nautical and transport products participating to the edition. The ceremony will take place on April 25th in Los Angeles Hollywood at the prestigious Pacific Design Center. Cutting-edge designs and innovative products from around the world, more than 90 countries, vied for the top prizes in this prestigious award. The International Design Award gathers the whole community of international design and is born in 2007 to monitor the design, rewarding professionals and students in the whole world. The International Design Awards (IDA) exists to recognize, celebrate and promote legendary design visionaries and to uncover emerging talent in Architecture, Interior, Product, Graphic, and Fashion Design. IDA aspires to draw attention to the iconoclasm of design worldwide, conceptualizing and producing great work. The results are accessible on their website. 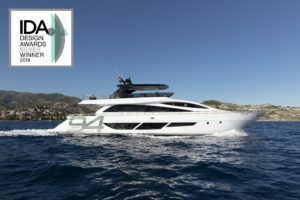 The prize encourages Amer Yachts to pursue the innovation and research for an eco-design in the respect of the environment. A big satisfaction for an Italian family business with the objective to promote the Made in Italy at international level.